This debut album by Brooklyn's Widowspeak showcases the flawless style of members Michael Stasiak and Robert Thomas, coupled with Molly Hamilton's incredible voice. At times her voice is reminiscent of Hope Sandoval of Mazzy Star. 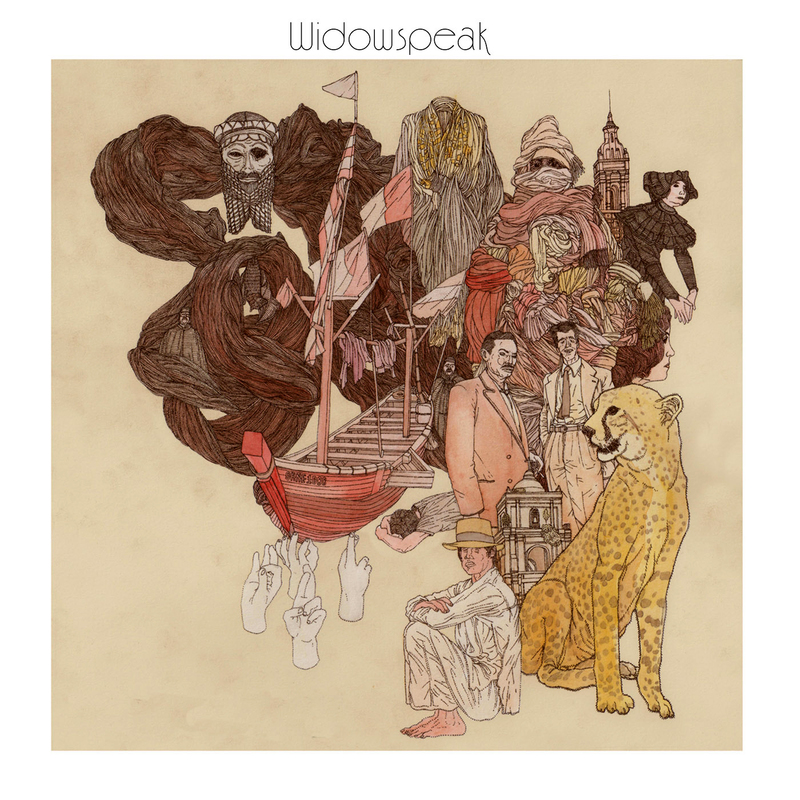 However, Widowpspeak as a whole run with an indiepop crowd, especially with the jangly guitars featured on tracks such as 'Fir Coat'. The album is beautiful, gentle and atmospheric, with hints of psychedelia surrounding the hauntingly dreamy vocals. 'Brain Freeze' has thumping drums, hand claps, cool guitar riffs and Molly's gentle voice, what more could you want? On 'Harsh Realm', also available as a 7 inch, there is plenty of heartache; "I thought about how it was / I thought about you because... I always think about you". A drug induced haze covers 'Ghost Boy' with a rad tambourine and a heavenly slow building effect, it reminds me of the title track from Mazzy Star's So Tonight That I May See. 'Half Awake', 'Fir Coat' and 'Gun Shy' each have their own unique bright feel and add a glimpse of lightness to the album. 'Half Awake' in particular, is going to be one of the best songs of the year for Blueboy and Popgirly. Overall, this is an extremely engrossing debut full of blissful and darkened sounds. The artwork on this album is lovely, as too are the 7 inch sleeves of 'Harsh Realm' and 'Gun Shy' so don't forget to check them out as well!